In response to consumer requests, Ole Smoky Tennessee Moonshine upped the alcohol content in three of its flavored moonshines. It now offers Strawberry Lightnin’, Lemon Drop Lightnin’ and Hunch Punch Lightnin’ moonshines with 40 percent alcohol by volume. 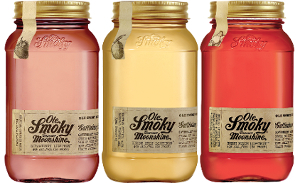 Previously, Strawberry Lightnin’ and Lemon Drop Lightnin’ moonshines were available with 20 percent alcohol by volume nationwide and Hunch Punch Lightnin’ was only available at Ole Smoky’s Gatlinburg, Tenn., distillery. A 750-ml bottle has a suggested retail price of $24.95.